Miam miam!! C’est delicieux comme petite collation. Cest goutteux et saoureux. Je le recommande. 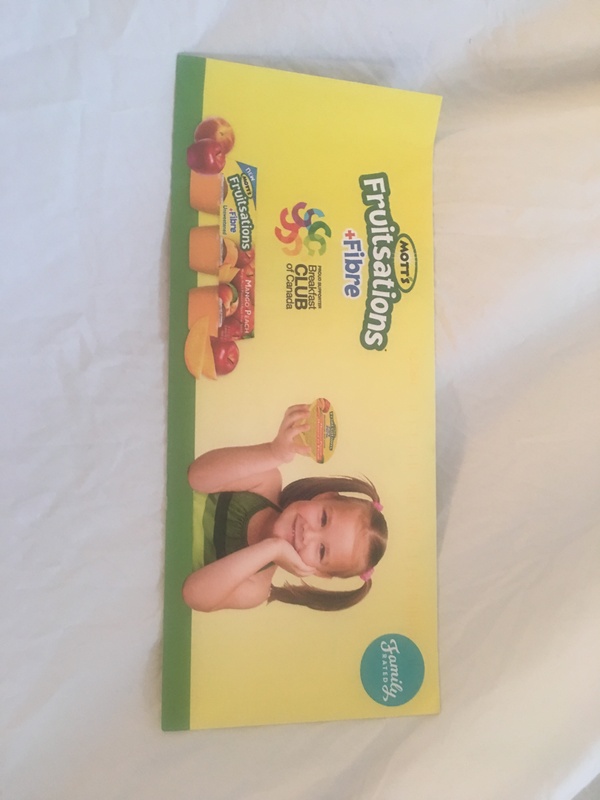 Surtout si tu veux initié tes enfants à d’autres fruits. Cette collation est digne d’un cinq etoiles? Mommy got the first bite before passing to kids. 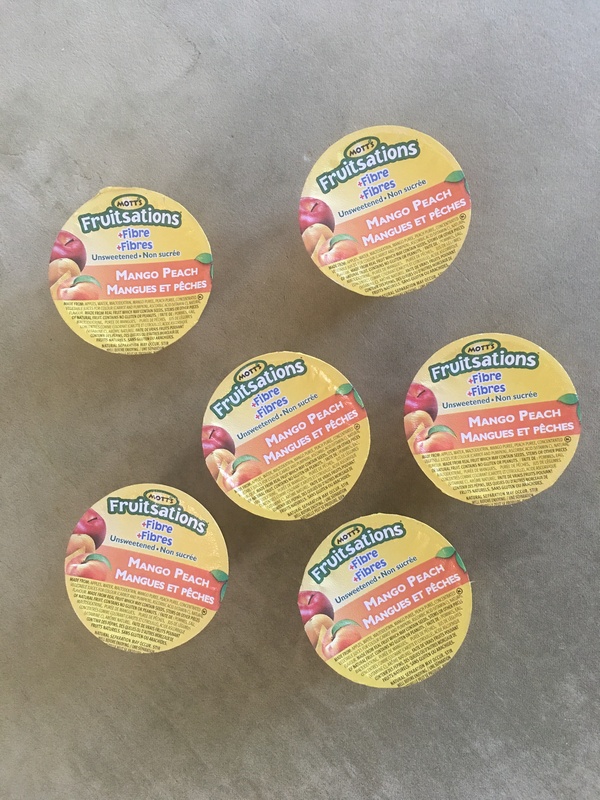 I don't eat applesauce often, as I find it sort of boring. 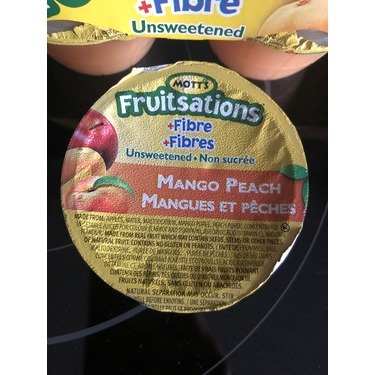 Mott's Fruitsations Mango Peach is delicious! The flavor combination is perfection! I was worried the mango would pack too much punch and be completely overpowering. Thankfully, I worried for no reason! Now onto the kids. They both stopped a couple bites in and gave me a thumbs up! Devoured in record time, so I'd say they were a hit! I enjoy the added fiber, especially with children who don't always eat what I would like them to eat. No other wow factors as far as nutritional information. As far as value goes, I tend not to purchase individual cups of anything, unless there is one heck of a sale! I'm a "giant jar" or "make from scratch" frugal mom. Kids are only 2 and 3 and are usually one and done snackers, but soon, they'll be bottomless pits! I will definitely consider buying these, as they were such a hit! 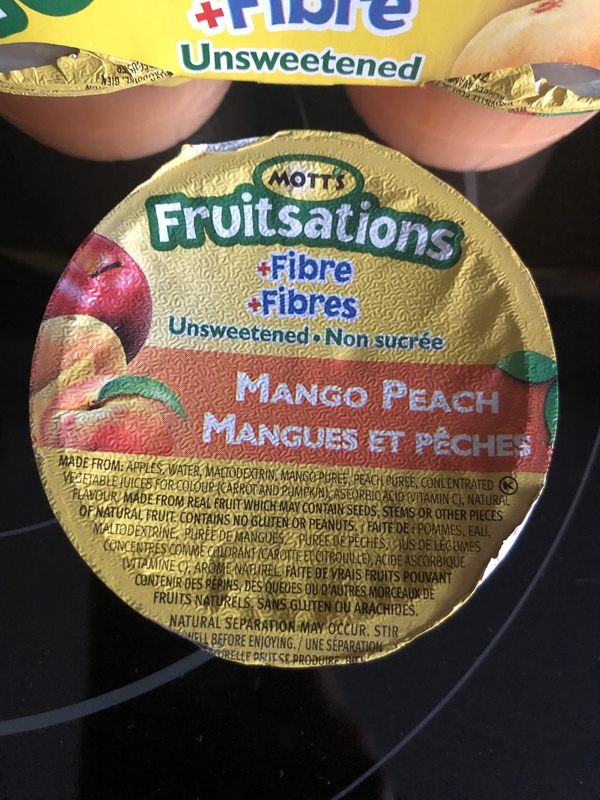 Compote Mott's mangue et pêches ! J'ai essayer grantuitement cette compote et elle est vraiment bonne. 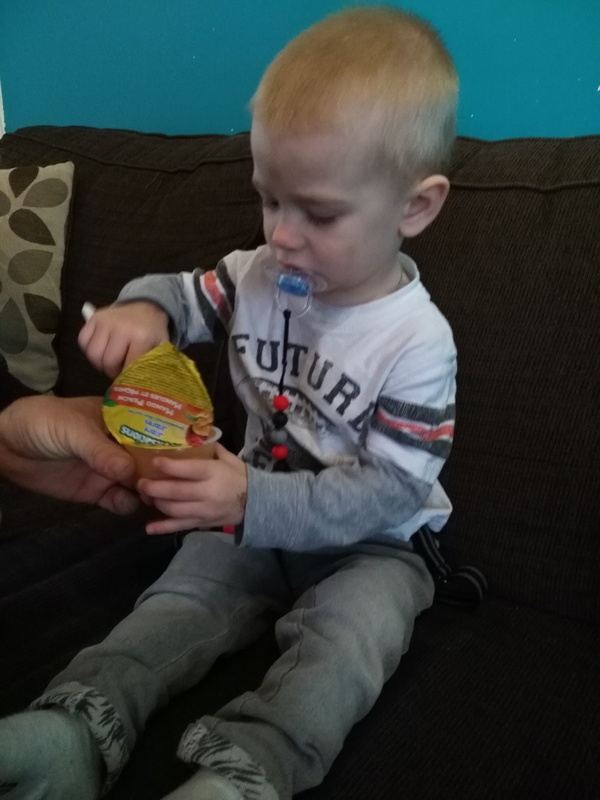 Pas trop sucrée, soutenante et pleins de bonne saveurs mon fils de 22 mois à adoré. J'ai eu un peu de difficulté à trouver le produits sur les tablettes de plusieurs supermarchés. J'ai donné cette collation à mon fils pour son lunch d'école et il m'en a redemandé le soir venu. Ma fille à aussi beaucoup aimé. Ce que j'ai moins aimé est le format, je préfère les pochettes pour le côté pratique. The idea of the flavour combo sounds delicious. Unfortunately we could barely taste the difference from regular applesauce. 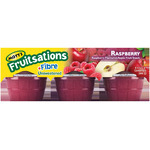 The kids still enjoy them in their lunches and knowing it has the added benefits of fibre, I'm quite happy to have this in their lunches. I recieved this free in exchange for a review. 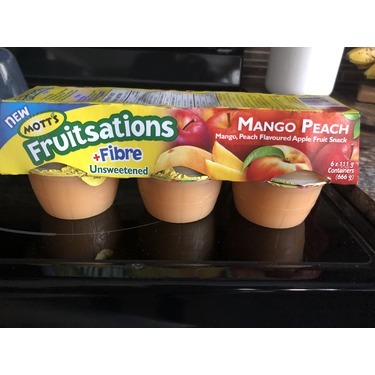 My kids have always been fans of Motts apple sauce so me telling them they got to try a new flavor got them very excited. 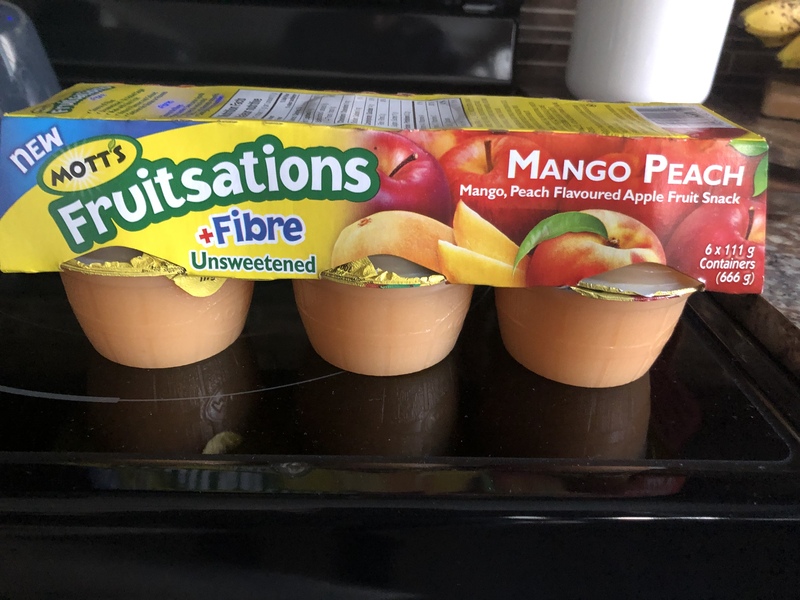 Both if my kids really enjoyed the new flavor, they couldn't tell a difference in texture with the added fibre so that is a thumbs up in my books. They both said that it taste like peaches so that is the more dominant flavor between the peach and the mango. 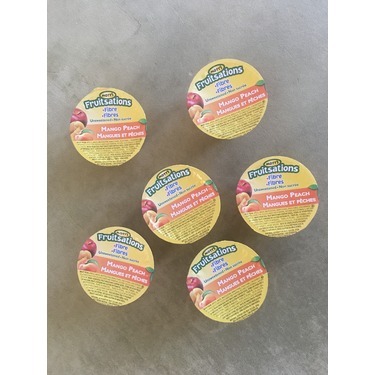 One reason I love Motts apple sauce is it is very affordable and is a healthy, easy option for lunches and snacks. 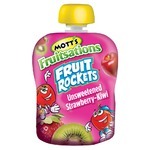 overall this product was a win and my kids are asking me to purchase it again. I am excited to say this new flavor was a huge hit with my family. Even my fussy picky eater hubby enjoyed a cup or two. Great taste with no added sugar. Super healthy food choice. Love the fiber helps in keeping us all healthy. Great addition to the kids lunch bag for school. Already bought another 4 packages. 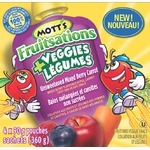 Recommended to all my mom fitness, and their kids love them too. 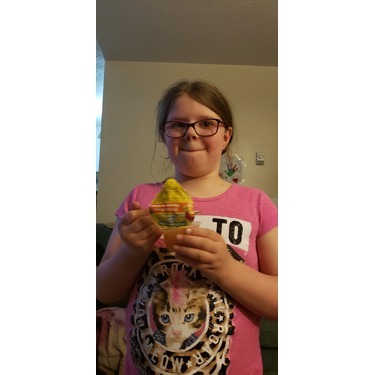 Thank you FamilyRated for an excellent introduction. Delicious addition to breakfasts on the go! 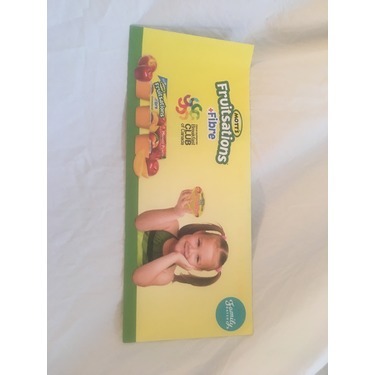 I received this product for free through Family Rated. I fed it to my daughter for breakfast along with a bowl of oatmeal. Her absolute favourite fruit is mango and her second favourite fruit is peach. She LOVED this fruit snack! And I’ll admit, I had one myself as well! 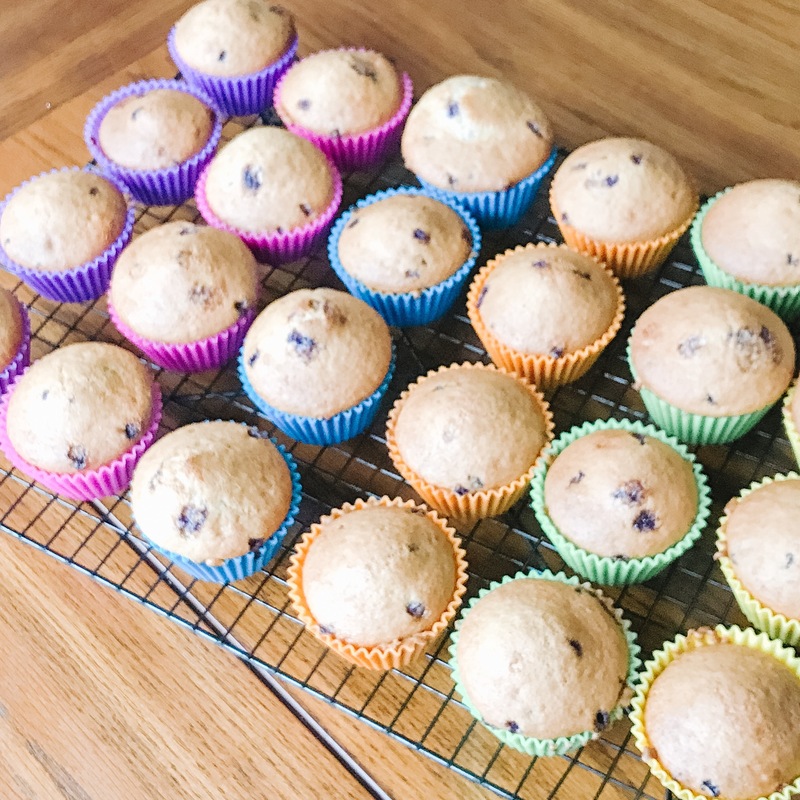 This makes a perfect on-the-go breakfast during busy and hurried school and work mornings. 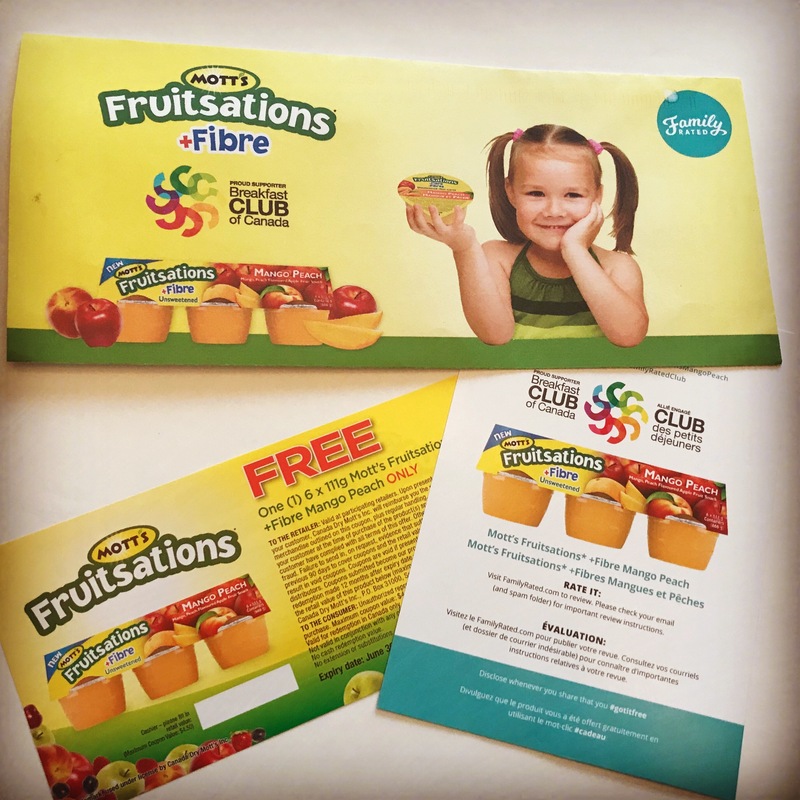 I appreciate that Mott’s Fruitsations is a supporter of the Breakfast Club of Canada. I will be purchasing this product and the same flavour, and I would definitely recommend it to friends and other family members. 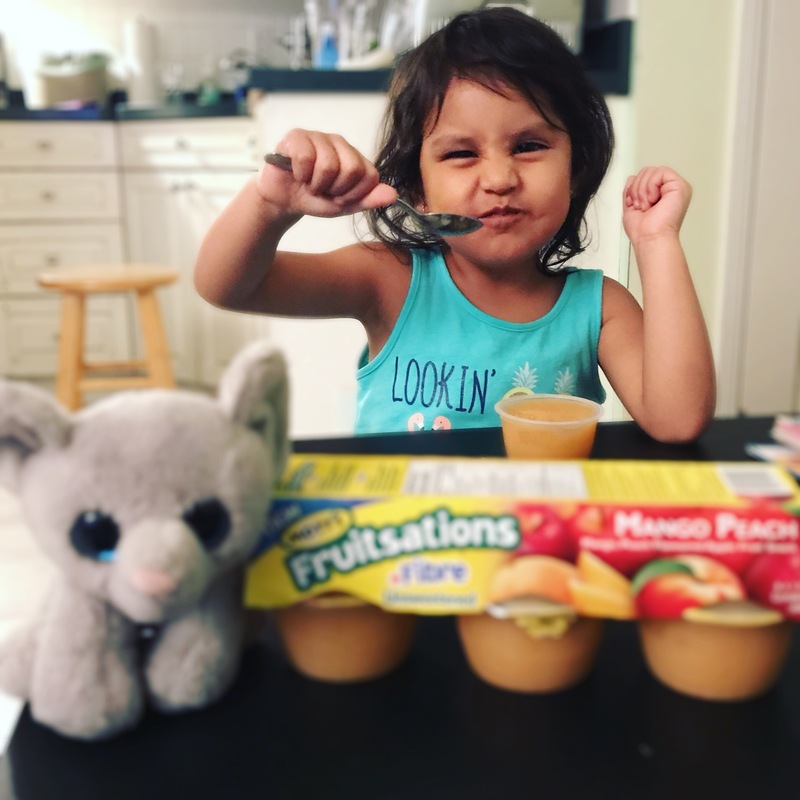 Unsweetened applesauce with favourite fruits added to it is not only fun, but it’s healthy. 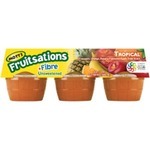 With the addition of fibre, it’s irresistible!